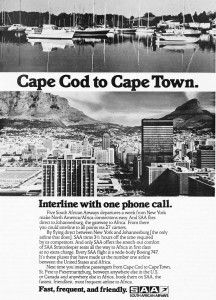 I recently found this South African Airways ad in a magazine from 1981 at my grandma’s house. 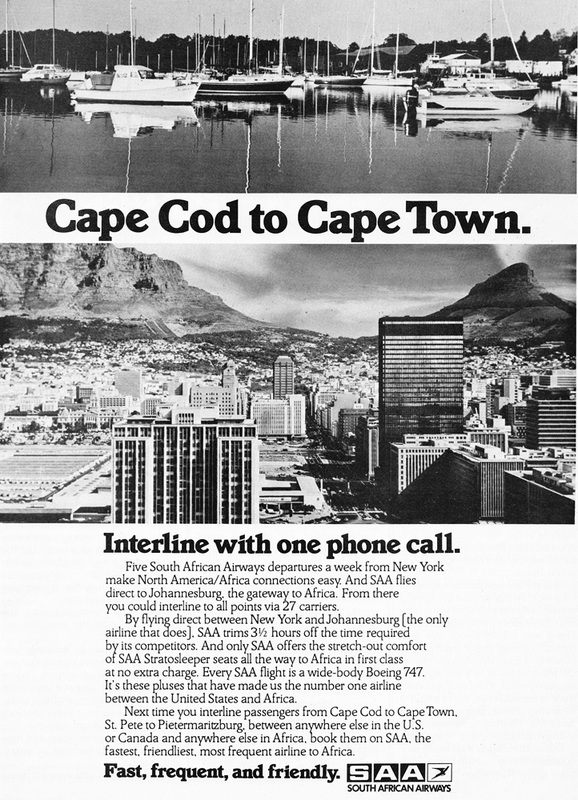 This ad was placed in Interline magazine, a publication for travel industry employees and their family members (who received discounted air tickets and travel packages). It’s quite fascinating to see the different packages available almost 30 years ago. Some countries, like China, have modernized a hundred-fold, while others like Yugoslavia and the USSR have split into half a dozen new countries. And still others, like South Africa, have come so far as to host the recent World Cup.